Escape, Saint Mark’s School’s summer program, is held on the school’s beautiful 5.5-acre campus, offering a unique experience for children entering 2nd through 7th grades in the fall. During each session, Escape campers take field trips twice a week. 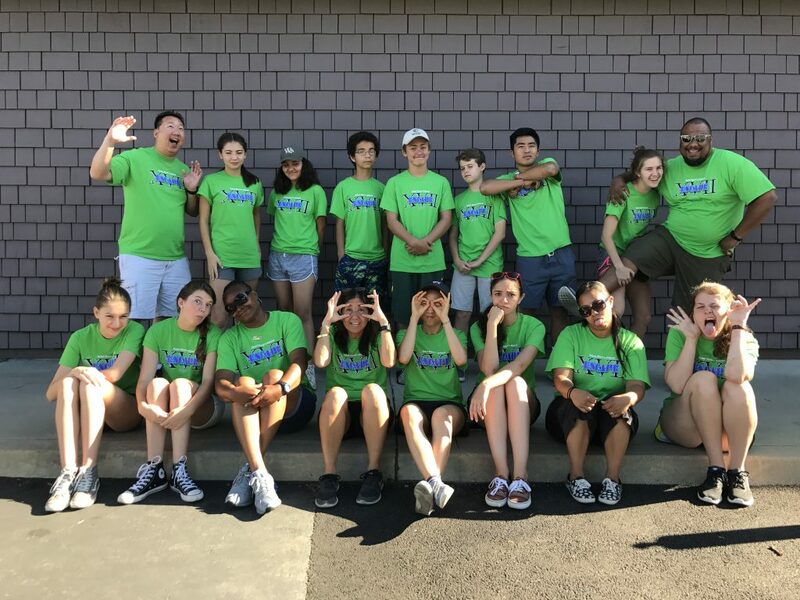 In previous summer, campers and counselors have visited the El Capitan Theater, Scandia, Huntington Beach, Universal Studios, Boomers, Raging Waters, Knott’s Berry Farm, California Adventure, and Disneyland. While on campus, teamwork, and fun are a constant part of many activities and games, including Capture the Flag, Water Carnival, Counselor Hunt, Saint Mark’s Dodge Ball, and Alien Adventure. Smiles and laughter are everywhere whether campers and counselors are playing games, cooking, performing drama, or doing arts and crafts. Be part of Escape XIX, spend time with friends old and new, and leave with lasting memories! Julie Toyama – Julie is the Physical Education teacher and Director of Auxiliary Services for Saint Mark’s School. She has been the co-director of Saint Mark’s Summer Camps for the past seven years and has over 25 years of education and camping experience. Franklyn Shen – Franklyn is the Business Manager for Saint Mark’s School and also the Director of Youth and Young Adult Ministries at the Church of the Good Shepherd. He has been the co-director of Saint Mark’s Summer Camps for the past six years and has over 24 years of experience in both day and residential camping. Click to download the Escape Brochure. Click to download the Escape Registration Form. Click to download the Escape Price List. Click to download the Consent to Photograph Form. Click to download the Escape Counselor Application. Click to download the ISEE Prep Registration Form. For more information, please contact the school office at 626-798-8858. *Field trip schedule subject to change due to availability. Li’l Lions Camp is open to children entering kindergarten and first grade. Campers enjoy a summer full of exciting adventures and opportunities to make new friends. We welcome visitors such as the Cabrillo Touch Tanks and Education Through Nature, who presents a lesson on dinosaurs. Campers take field trips to local sights such as the Raymond Alf Museum, Discovery Science Center, the grocery store, and the public library. During all of the many games, crafts, cooking, art, experiments, learning activities, and stories, our Li’l Lions had a roaring good time! We hope to see you at Li’l Lions Camp! Click to download the Li’L Lions Brochure. Click to download the Li’L Lions Registration Form. Click to download the Li’l Lions Price List. Click to download the Li’L Lions Counselor Application. The Preschool Summer Program offers a wide variety of experiences in a multi-age group setting. Children are immersed in learning experiences through the use of themes such as under the sea, the science of summer, around the world, etc. Each week provides new and varied activities. Activities are planned for indoors and outdoors. Children are given lots of time for making their own choices and free play. A group time is planned each day. Daily activities will be presented in age-appropriate ways. * A personal interview with the Lower School Head is required before applications can be accepted for students not currently enrolled at Saint Mark’s. Click to download the Preschool Summer Program Brochure. Click to download the Preschool Summer Program Registration Form. Click to download the Preschool Price List.